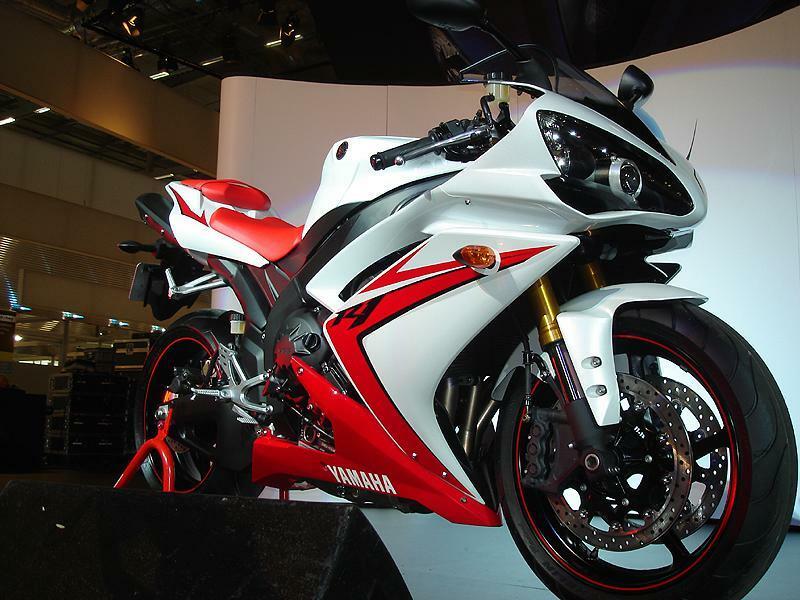 Here we have pictures of the entire 2007 Yamaha range direct from Germany and the Intermot show in Cologne. TV personality Toby Moody took to the stage to introduce everything that is new or updated for the Japanese manufacturer. For bike reviews click here Another revised current model for Yamaha in 2007 is the XT660X. The supermoto has been modifications for 2007 to continue to take on the might of KTM, Husqvarna and other supermoto focussed manufacturers. Check the 07 model out in both black and orange. As per usual Yamaha not only presented all their unchanged machines in their new livery, but they also presented a few bikes with all the optional flash extras including the fully faired MT-01 and an MT-03 dripping in carbon fibre.